This made me cry, in a good way. We need more music and art like this. Feel good. We need more of this. I do. 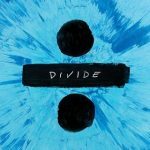 Ed Sheeran, no wonder you are … perfect … and are uplifting the world wherever you are. Music, song, video, art, the creative process, and all of the humans that it takes to get a work of art to this point, show more than only the power of creativity and the arts, but how “entertainment” isn’t just entertaining, but it is art as life itself, expressing the love of millions of people around the world through song and word. We all want to feel love, and in love.